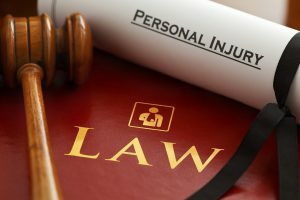 New Jersey Personal Injury Attorneys | Tomes & Hanratty P.C. If you have suffered a personal injury as a result of someone else’s negligence, we want to work with you to recover the compensation you need to move on. While money may not end the pain of an injury, you do not need to carry a financial burden while recovering. Tomes & Hanratty, P.C. handles all personal injury matters, including auto accidents, slip and falls, workplace injuries, animal bites, and toxic exposure. If you need quality legal support from an effective and experienced team, contact Tomes & Hanratty, P.C. for an initial, no obligation consultation. Our firm has been a resource for the people of New Jersey for many years and will act quickly and efficiently to protect your rights and help you recover the compensation you deserve. Motor vehicle accidents can end with terrible results. With the various motor vehicles on the road, a person can suffer from a multitude of injuries depending on the speed of the collision and the size of the vehicles involved. Tomes & Hanratty, P.C. understands the impact a motor vehicle accident can have on one’s future. Our firm handles all auto accidents for NJ clients, including car accidents, truck accidents, train accidents, and bus accidents. If you are injured because of someone else’s negligence, you may have the right to be compensated. When you are invited into a public or private space, it is reasonable to assume that the place is safe for you to be in. From storekeepers to homeowners, property owners are expected to keep their premises up to certain standards of safety, whether that is keeping sidewalks clear and free of debris or our making sure that the building is structurally sound. Every person who is employed has a job with some degree of danger. If you work construction, you are more at risk for injury than those who are employed in offices. Even though construction is a more dangerous occupation, it does not mean that the office worker is safe from injury. Whether you work a dangerous job or a reasonably safe one, when you are injured, you may face a serious situation. When people suffer serious injuries or are killed due to negligence, there is a grievous story that must be told. As attorneys who represent people who have suffered serious injury because of exposure to toxic substances such as asbestos, benzene, mold or other toxic materials, we must know how to tell the injured person’s story. Dogs are wonderful. Dogs can be a part of the family. They provide companionship and comfort in your time of need. With the right training and discipline, a dog can be more than just a pet to a family. Unfortunately, not all people should be dog owners and often fail to train and control their animal. When this happens, irresponsible dog owners put others at risk for injury.